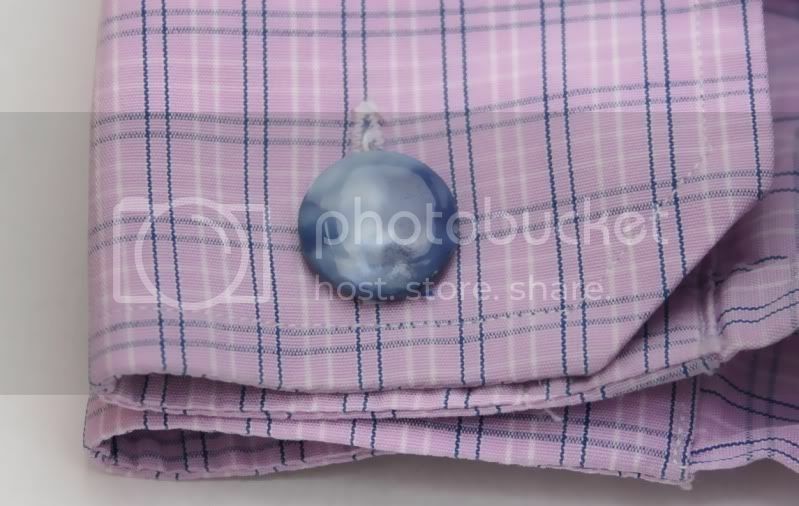 Discussion in '2011-2017 Classic Menswear' started by sonlegoman, Sep 22, 2011.
this is my new cufflinks thread. I will be adding new designs to this thread. I will only have a small number of each item. I am no longer doing this with a significant amount of time since I now have rotations so the quantity of each design will only be 2 or 3. I'm only doing this to make cufflinks for my own collection and then selling the extras to you guys. Hope you enjoy it. Shipping is free for US and $2 per pair for non-US. 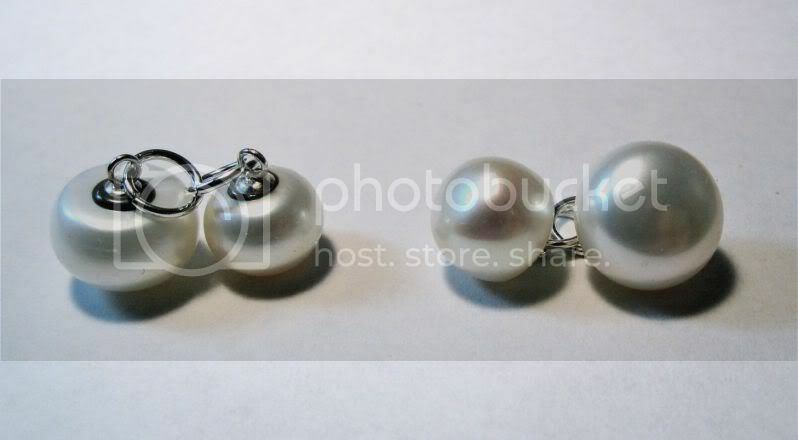 Design #1: Pearl cufflinks. 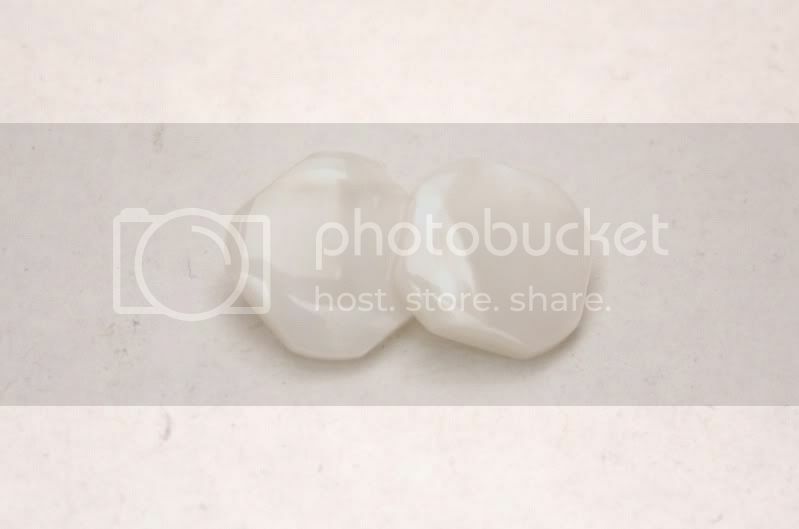 Description: freshwater cultured pearls. One side 12 mm, one side 10mm. Price: $40. Sold out again Photos show links not soldered yet. Will be soldered before being sent out. The backing is epoxied on with a steel-reinforced two part epoxy. I test wear all my cufflink designs (not individually, just one pair that I keep for myself). Design #2: Green aventurine. Description: Absolutely stunning. Photos do it now justice. This was actually from my mom's jewelry collection. My mom had a necklace and she wanted it shorten so she gave me the extra beads. 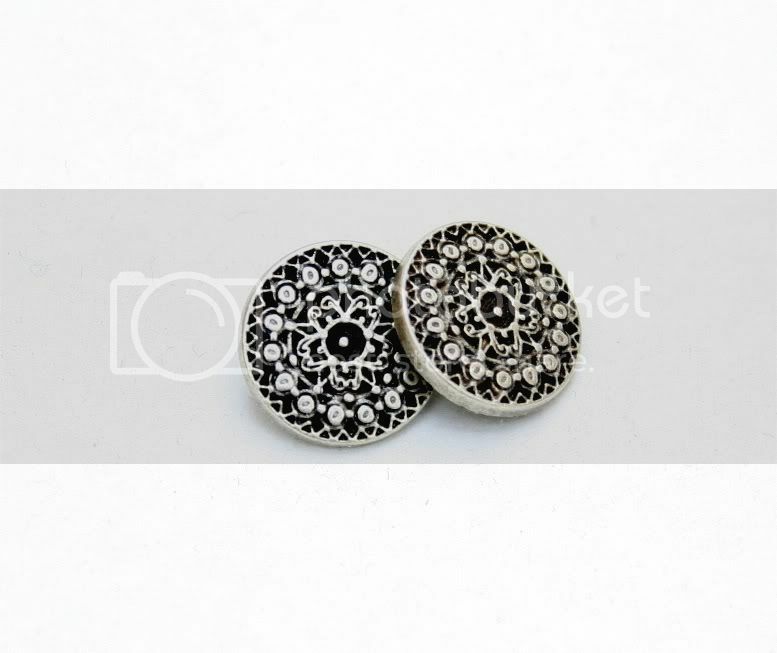 12mm each. Price: $40. Seriously, this is stunning. sold out again for the second time!. Design #3: Vintage Parisian Clocks. Description: These are made from new old stock from 1970s France. 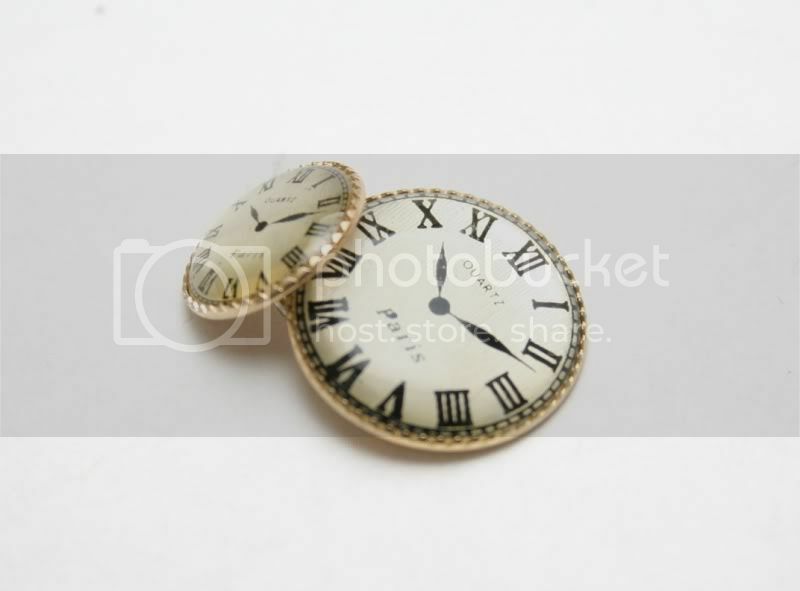 Brass clock dial with clear acrylic face. 18mm and 12mm. Price: $20. 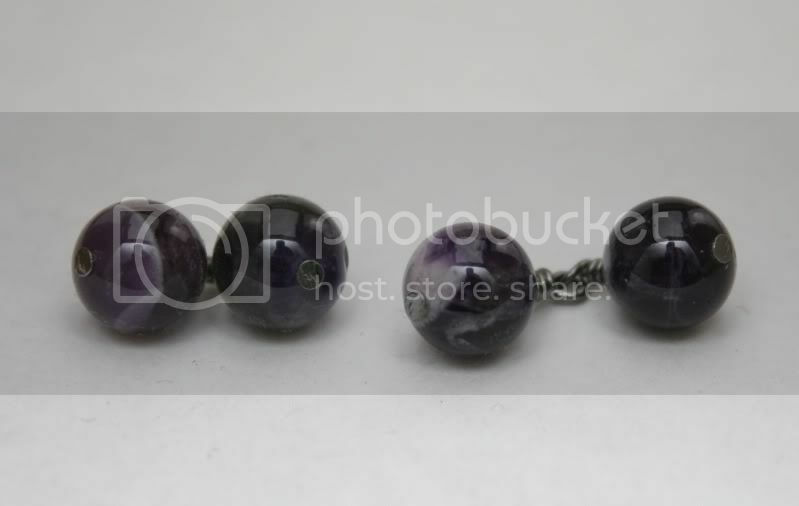 1 remaining Design #4: Purple Amethyst Description: Absolutely stunning. Photos do it now justice. 10mm each. Price: $15. Seriously, this is stunning. 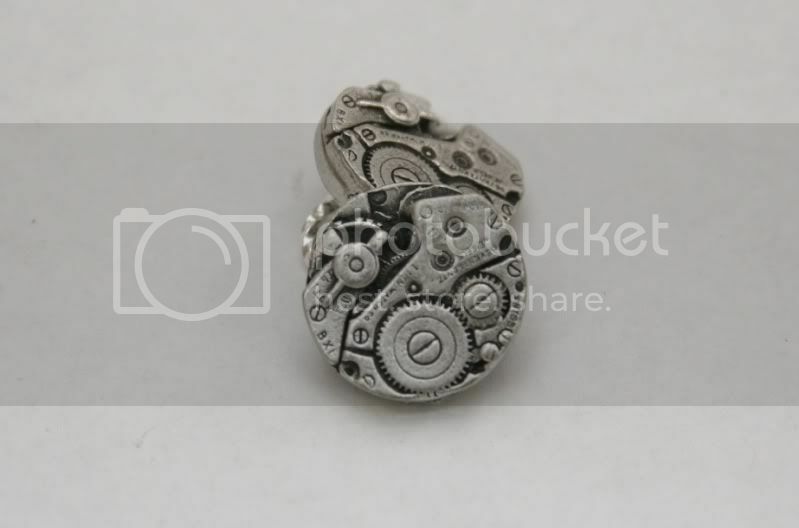 Sold Out Design #5: Clock Mechanism Description: 15mm nickel. Price: $20. 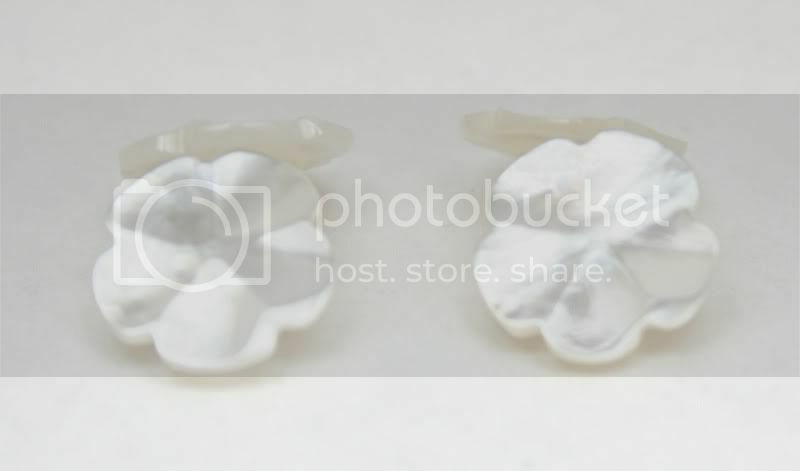 2 remaining Design #6: Mother of Pearl Flower Description: 12mm. Sourced from Japan. Price: $20. 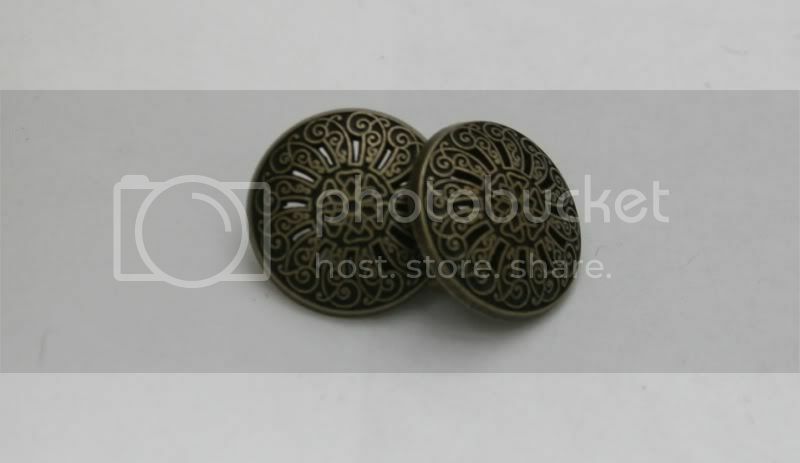 Sold Out Design #7: Brass Filligree Description: 15mm. Vintage new old stock. Price: $20. 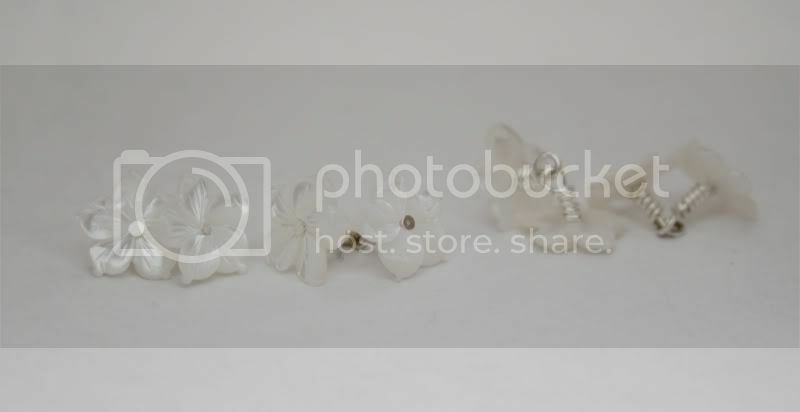 Sold Out Design #8: Mother of Pearl Flower Description: 12mm. Sourced from Japan. Very iridescent. Price: $20. 3 available. 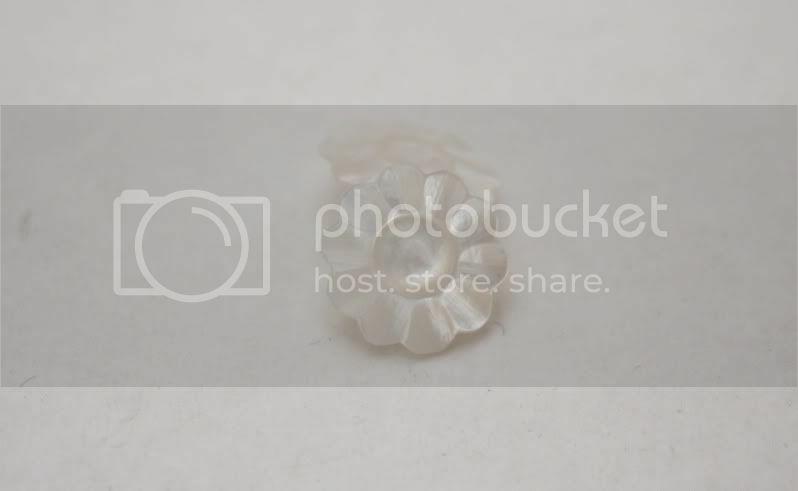 Design #9: Mother of Pearl Sunflower Description: 13mm. Sourced from Japan. Very iridescent. Price: $20. 3 available. Design #10: Blue Mother of Pearl Description: 15mm. Sourced from Japan, vintage. Blue and white swirls. These are vintage and some have superficial scratches. But still lovely. Price: $30. Sold Out Design #11: Awesome Star Description: 15mm. Nickel. The lustrous region is polished and the black regions is relief and therefore hasn't received the polishing. The depth and detail is cool. Price: $30. Sold out Design #12: Awesome Shield Description: 15mm. Nickel. The lustrous region is polished and the black regions is relief and therefore hasn't received the polishing. The depth and detail is cool. Price: $20. 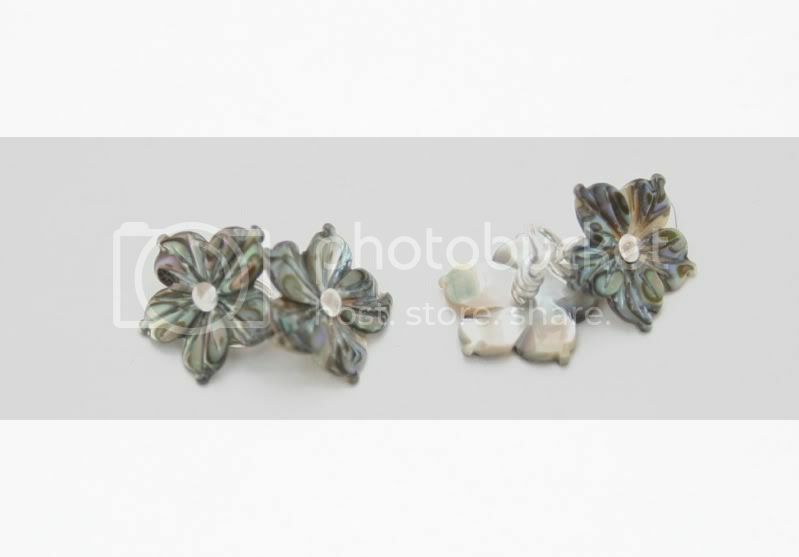 sold out Design #13: Abalone Shell Flower Description: 12mm. Price: $20. 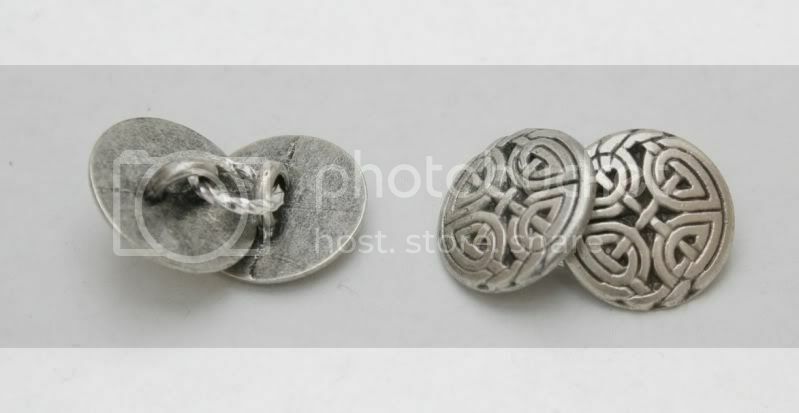 1 remaining Design #14: Celtic Shield Description: 15mm. Nickel. Price: $15. 1 remaining Design #15: Square Filligree Description: 15mm. Nickel. There's some thickness to this. Really cool how you can see right thru it. Price: $25. Sold Out Design #16: Mother of Pearl Square with Mitered Edge Description: 14mm. Japanese Mother of Pearl. Price: $25. Sold Out. Please watch out for my new pocket square thread that I will be starting up soon. Please PM me and tell me which number and name of the design you want. My old threads are defunct and the numbering system is no longer used so please only order from the new threads. But please see my old threads to check my reputation. I've got hundreds of feedback from both my cufflinks and my pocket square threads. As is with my pocket squares, all money goes to pay my ridiculous optometry school bills. Even gave me a freebie for a slight delay that was completely understandable. Please only ship USPS to Canada. I guess I've been bumping this thread without replying and people think this little hobby of mine has gone dormant. It hasn't. 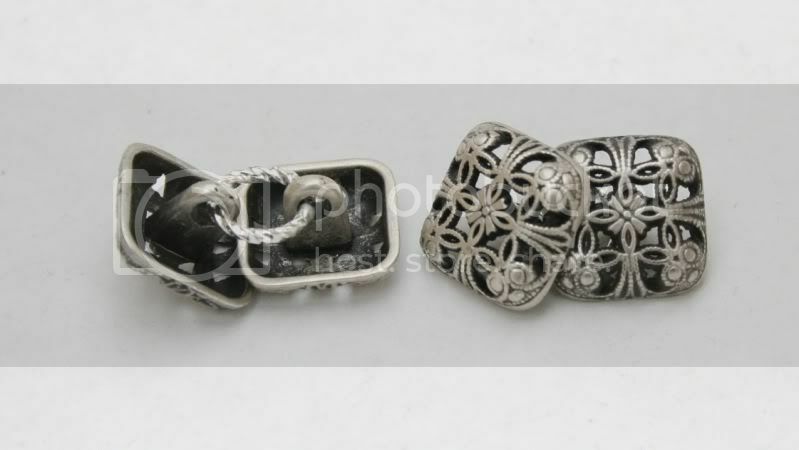 I am still offering these cufflinks and as of January 7, 2012, the prices and quantities are up to date. I know I should be adding more pairs but school has gotten hectic and I just haven't had the time to search for new materials. But yes, they are still for sale. I will maybe add a few more pairs in between quarters. Pocket square business, however, has gone dormant. There is about a 1 week wait time before I send out items though because of school. Got a pair of the Brass Filligree cufflinks in the mail today. Very nice stuff. Thanks sonlegoman. I received my cufflinks (design 16) a few days ago. They are fantastic and arrived just a few days after I made the payment. Thanks!!! As you can see, lots of items are starting to sell out. I'm currently on rotations and making apartment moves every few months so I haven't been able to update with new materials. I'm sorry about this but I just haven't had the time. I'll try to update soon. Thanks for all your support. I'd love a restock of the round pearl ones. I second that if you can get some iridescent peacock pearls! 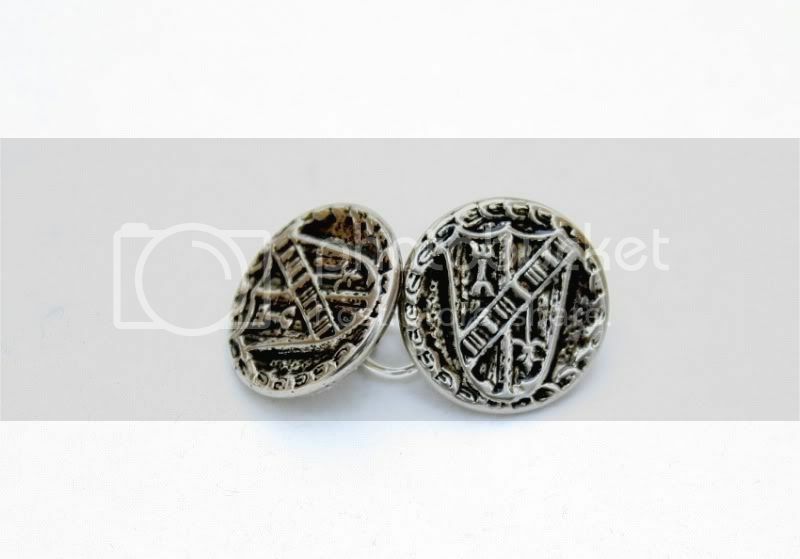 I've bought a few of these cufflinks from this seller and they are still going strong. Construction is top notch. I'll try to restock the round pearls. But optometry school really does come first now. Any word on the links, are they still available?